Chelsea Manning’s case is a classic example of the US’s double-standard approach, where people exposing true crimes are prosecuted and tortured, while the top brass gets away with controlled leaks that influence public opinion in the “right way,” former US officials and whistleblowers told RT. 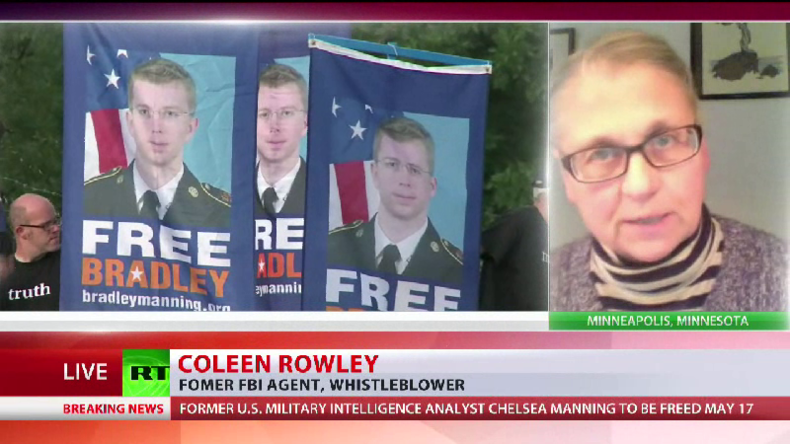 US President Barack Obama did the right thing commuting the sentence of Manning, but she has already paid an enormous price for her courageous act and received a punishment way more severe than any other whistleblower, former FBI agent and whistleblower Coleen Rowley told RT. 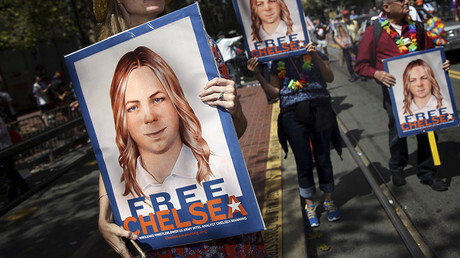 “If you look at other people who have been charged and convicted under the Espionage Act, usually the sentences are something between one and three years. Even in the UK under a more strict law called the Official Secrets Act, whistleblowers are usually get from one to two years sentence,” Rowley said. This commutation won’t immediately change the course of US policy towards whistleblowers and won’t actually sweeten the bitter aftertaste of the Obama’s years, during which his administration waged a war on whistleblowers and persecuted them more than ever, Rowley believes. “That law, the Espionage Act, that goes all the way back to the World War One remains out there, and has a chilling effect on anybody who witnesses fraud, waste and abuse, and wants to just do a right thing. And unfortunately this commutation won’t solve that problem,” Rowley said. It’s not only century-old laws, which “could be even used against members of the press, journalists and reporters,” but US policy allied with the double standards at play, prevent the problem from being solved, Rowley believes. “Recently we had a lot of “leaks” from anonymous top-level CIA officials, who were greenlighted. That means that people say ‘Ok, go ahead and leak it, and we won’t prosecute you.’ Or General Petraeus, for instance, leaking to his mistress and getting a slap on the wrist," Rowley said. 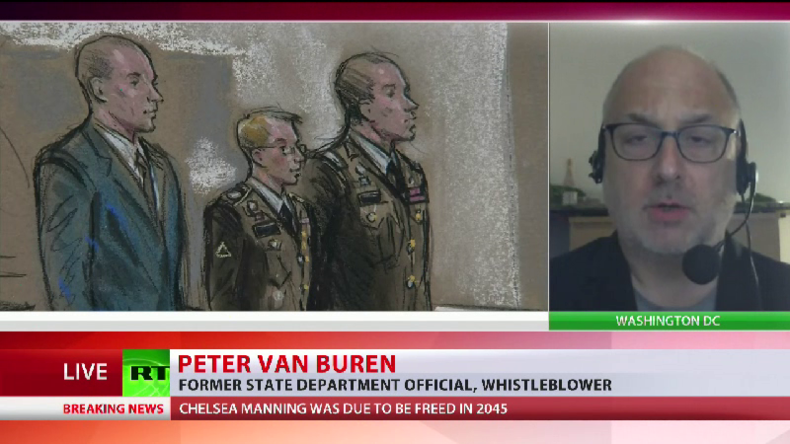 Chelsea Manning’s case and rather unexpected commutation will eventually change American officials and the public’s attitude towards whistleblowers, but it won’t happen immediately, former State Department official Peter Van Buren told RT. “A lot of the Americans had their eyes opened to the Iraq war. I think every American today now knows the term ‘whistleblower’ and knows what that means in the context of war and the federal government. I think every American has had an example of extraordinary courage on the part of someone who did exactly the right thing without worrying about the consequences to her personally,” Van Buren said. The five month delay might have something to do with Julian Assange’s earlier promise that he’d be willing to be extradited to the US should Manning be pardoned, but it’s too early to make strong assumptions, Van Buren believes. 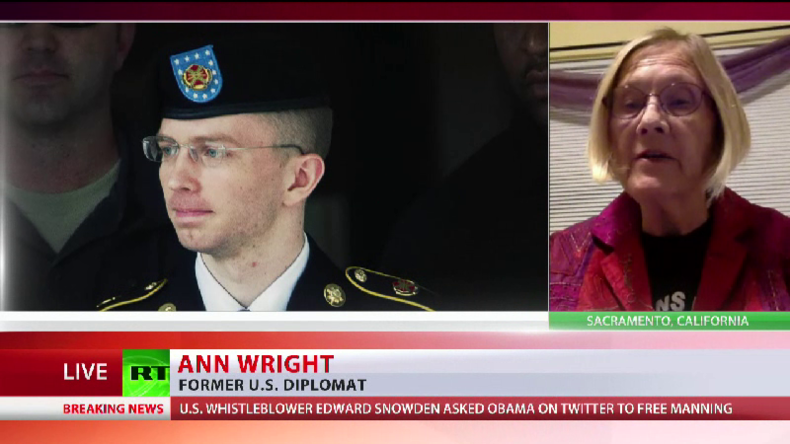 Chelsea Manning’s commutation most likely won’t please US officials who were not very eager to hear her revelations about government wrongdoings in the first place, former US diplomat Ann Wright told RT. “The issue of classified information, and the divulging of classified information, of course, is very serious. 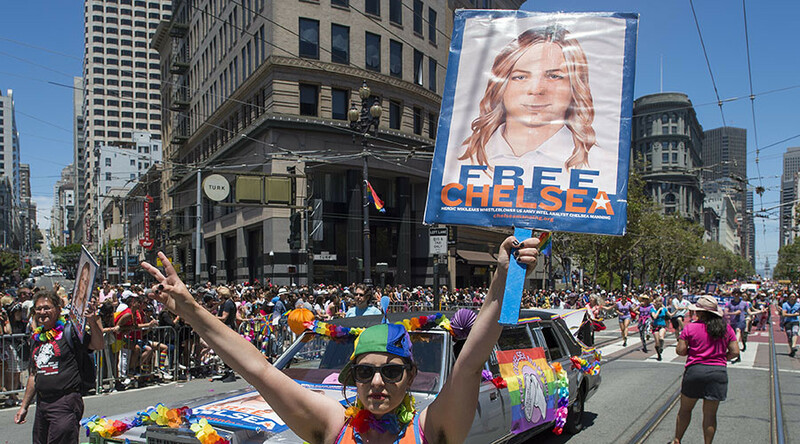 But the distinction that I draw in my mind, after having been in US government for nearly four decades and worked on classified information: what Chelsea Manning was doing was exposing criminal acts of the US government,” Wright said. “Only the whistleblowers have the courage to actually release classified information that shows government wrongdoing, knowing full well that they are probably going to get into big trouble for it, rather than being thanked for letting the honest people in the government know what’s going on so they can correct it. Instead, they are charged with divulging classified information, convicted, and put in jail. The Obama administration has had a war on whistleblowers. It’s not like they were overly enthusiastic about receiving information about government wrongdoing at all,” she noted.